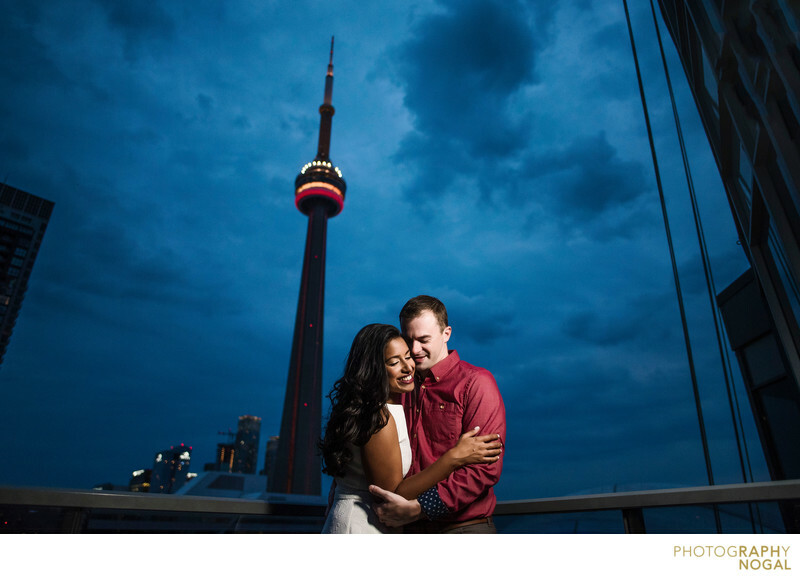 We wrapped up the photoshoot into the evening and ended in the couple's condo building downtown Toronto. They had access to an awesome rooftop patio, where we were in close proximity to the CN Tower. We lit this image with the Westcott Ice Light as it produced just enough light to focus attention on the couple, while maintaining a nice balance between them and the ambient light. The image was photographed using a Nikon D750 DSLR at 1600ISO, 1/500th shutter, f1.8 aperture with a 20mm f1.8G Nikon NIkkor prime lens as 20mm.